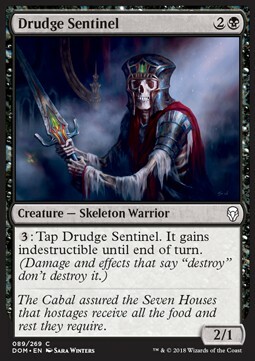 I — Each opponent sacrifices a creature or planeswalker. 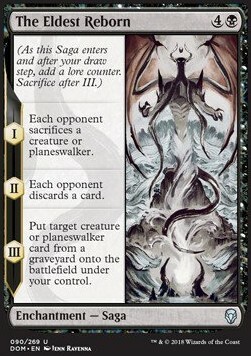 II — Each opponent discards a card. 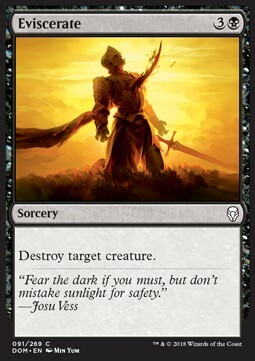 III — Put target creature or planeswalker card from a graveyard onto the battlefield under your control.